Summer 2017 predicted to be rainy - Don't let water ruin your home. According to weather forecasts, summer 2017 is supposed to receive above average amounts of precipitations in North America, especially on the East Coast. These rainfalls will be absorbed by the soil around your home and create additional pressure on your concrete foundation. In the long run, this extra ground force will eventually be too much, slowly creating cracks in the wall which allows water to penetrate and internally damage your structure. This is even more alarming in homes with cracked or currently leaking concrete foundations. Waiting on these repairs can cause permanent damage to your basement, causing your foundation to cave inwards. 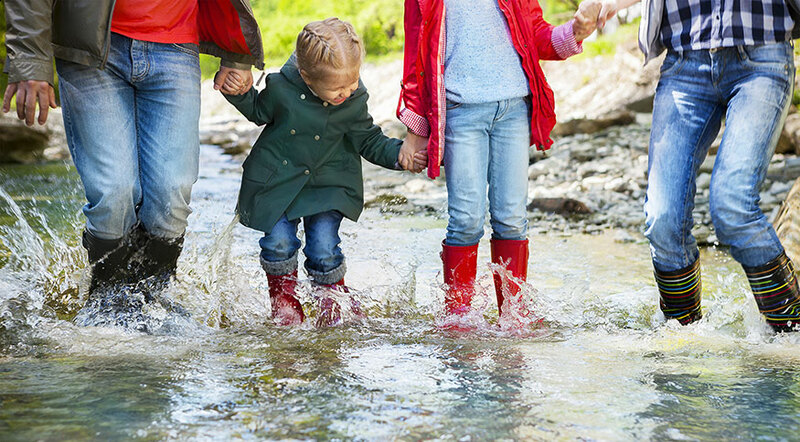 Seeping water will also cause increased moisture and mold that can harm your family’s health. What can you do about it right now? Go out and inspect your foundation for any type of cracks, no matter how thin they may seem. You can either then spend thousands by hiring a contractor, or do the repair easily yourself for a fraction of the cost using the same method and same materials that professionals use. 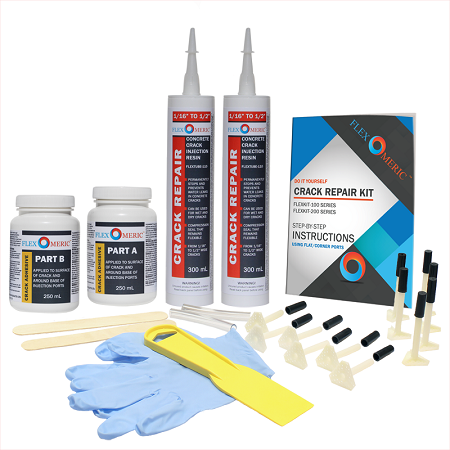 We’ve put together two kits that achieve the same professional level seal, made easy for anyone. If you want to get started today, go out and measure the smallest width of the crack. If you try placing a quarter inside the thinnest part of the crack and it fits, use the FLEXKIT-100. Otherwise, use FLEXKIT-200. From there, our easy instructions will ensure a complete seal that remains flexible. Above all, have a great summer!